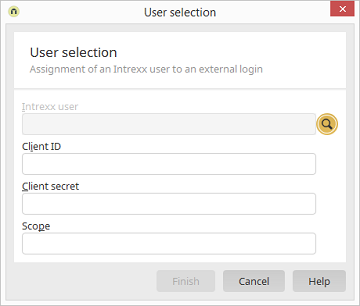 The path and username of the Intrexx user are shown here. Opens a dialog where a user can be selected from the User Manager. Enter the Client ID from the registration here. Enter the password from the registration here. Enter the Client Scope from the registration here.